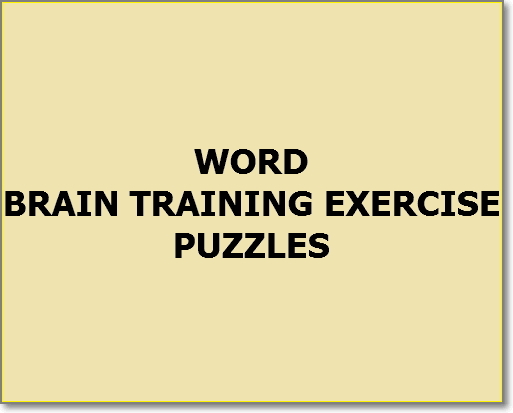 welcome to the brain training exercise puzzle for Thursday005 series. we are pleased that you dropped by, and working in tandem with you, we shall fulfil our promise to ensure you are mentally fit. We hereby open the doors of our mental gym to you. come along. Today's brain training word puzzle is very simple. simply have fun decoding the scrambled words below and you are good to go! 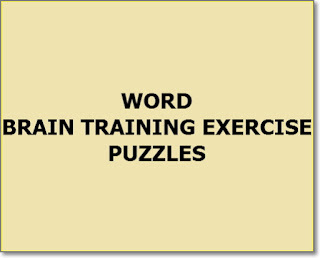 HOPE YOU HAD FUN WITH TODAY'S BRAIN TRAINING EXERCISE WORD PUZZLE. DO WELL TO KEEP YOUR ANSWERS COMING IN THE COMMENT BOX BELOW AND USE THE SOCIAL SHARE BUTTONS TO SPREAD THIS HEALTHY FUN WITH FRIENDS AND FAMILY.